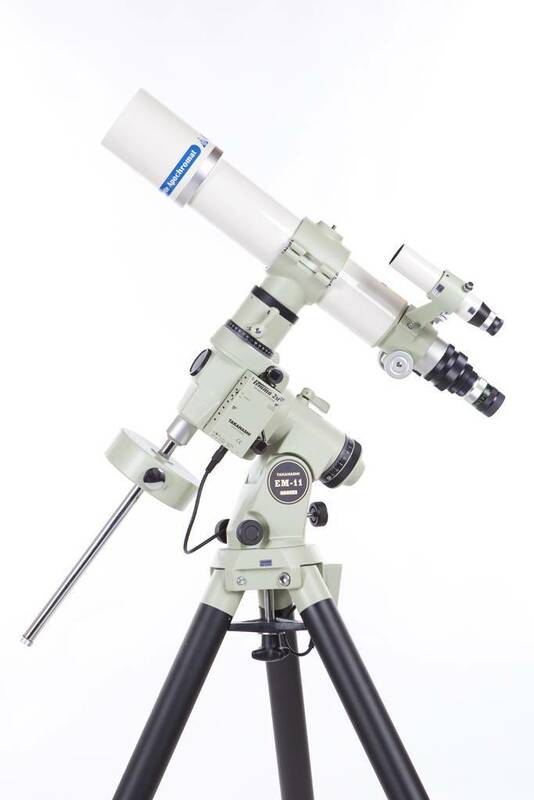 The Takahashi FC-100D is Takahashi's latest update to the 100mm fluorite refracotor. The FC-100D uses the Steinheil design with the fluorite element in the rear and an eco-glass front element. 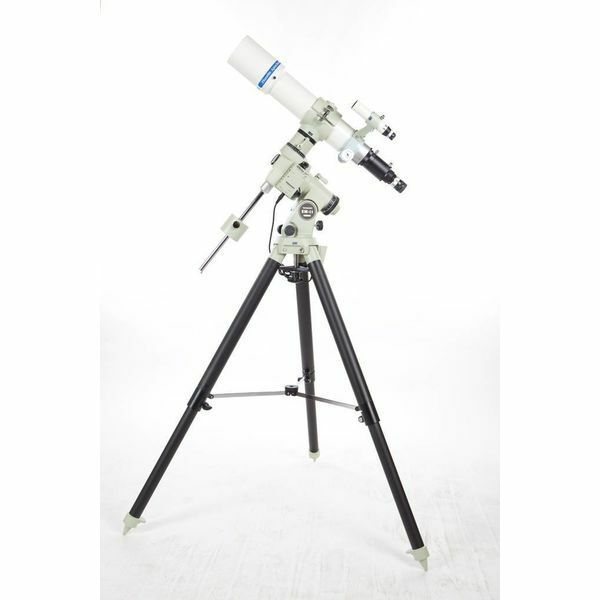 This apochromatic telescope provides outstanding views, both visually and with digital imaging hardware. The FC-100D was designed to be light weight and highly portable. It is offered in two models: the ultra-portable DC visual model that weighs just 2.8kg [6.1lbs] and uses the 2.2” FS-60CB focuser, and the DF model that uses the 2.7" focuser and is designed for imaging as well as visual use. 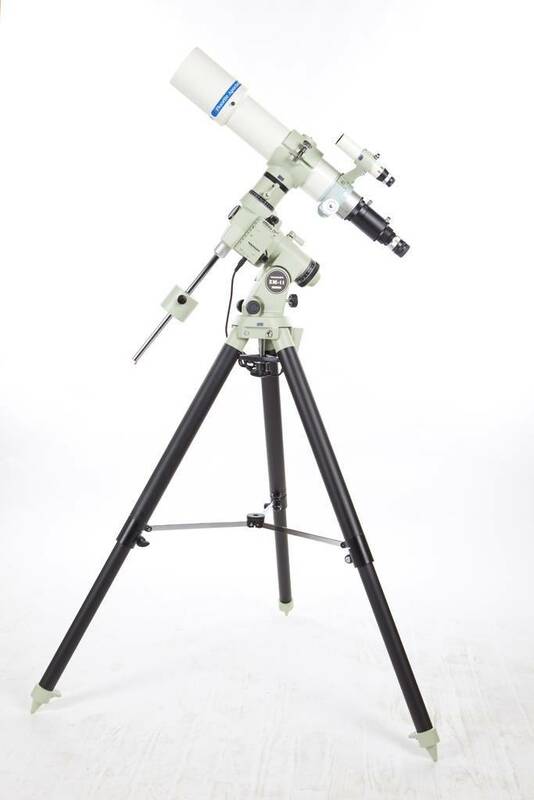 In their standard configuration, each scope is a 740 mm f/7.4 doublet. With the optional 4 element FC-35 reducer (sold separately), the DF version becomes a 485 mm f/4.9 imaging telescope, providing a 44 mm imaging circle that is suitable for full frame CCD and DSLR cameras. This kit features the FC-100DF telescope, the matching tube holder, a Takahashi 6x30 finder scope, and the corresponding finder scope bracket.